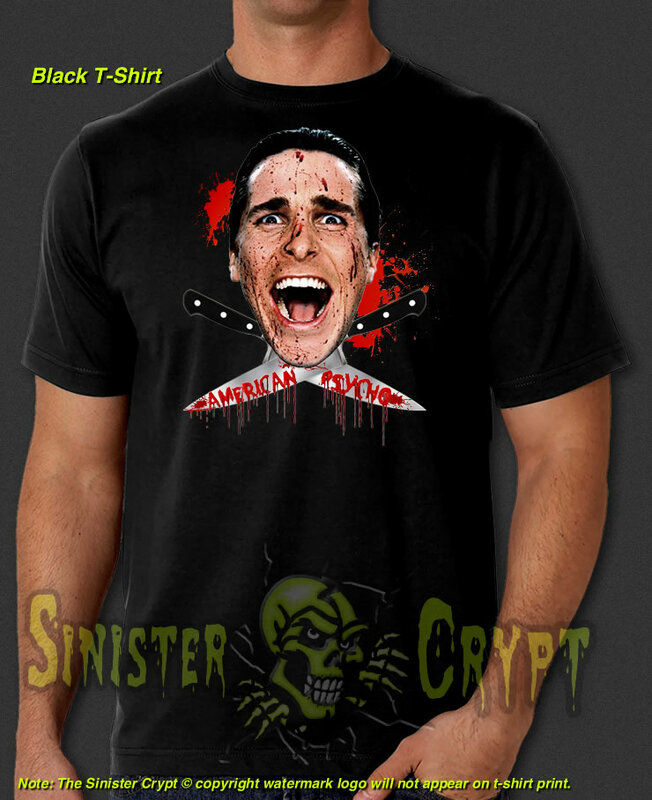 American Psycho Bloody Cross Knives t-shirt. American Psycho is a 2000 American-Canadian psycho-thriller-horror slasher black comedy film starring Christian Bale, Willem Dafoe, Jared Leto, Josh Lucas, Chloë Sevigny, Samantha Mathis, Cara Seymour, Justin Theroux, and Reese Witherspoon. Makes a great gift for a horror fan!